Almost everyone in Ketchikan agrees that 2013 was an amazing summer: beautiful weather, tons of visitors and record salmon catches, but not everyone can agree on when the last good weather summer actually occurred. 2004 was definitely a fair weather summer but some old timers say we haven't had a really beautiful summer since 1994. Whichever one you go with, it's been quite a while! 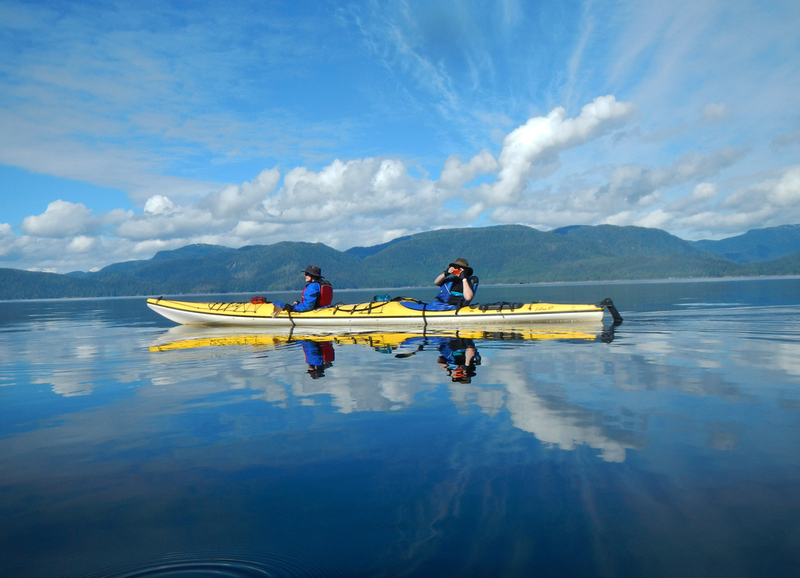 At Southeast Sea Kayaks, we certainly got spoiled with kayaking in all the sunshine this year. Here is a celebration of our sunny summer in images. 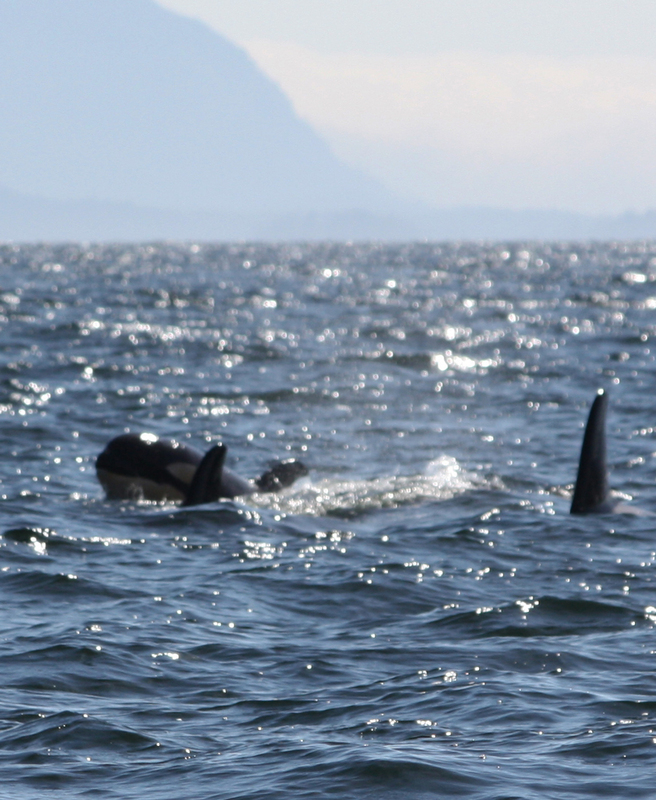 We had Orcas early this summer: this photo was taken in early May. Our photo contest winner, Bonnie captured this amazing photo of an acrobatic humpback whale putting on a show at Orcas Cove. 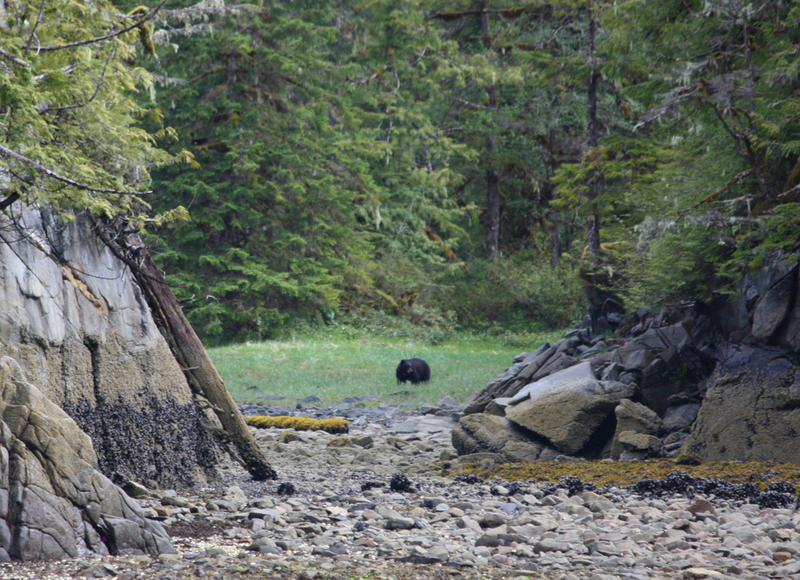 Bearnardo, made frequent appearances at the salmon stream in Orcas Cove. We spent an amazing afternoon watching a humpback mother teach her calf how to lunge feed. Whales were not the only wildlife at Orcas Cove, with the record pink salmon runs, we got to watch the Purse Seiners fishing at the point in August. 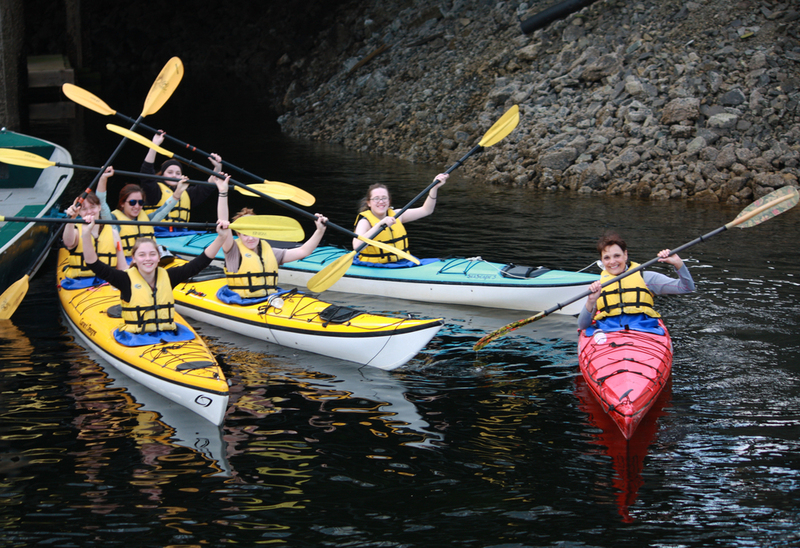 We had great fun with our Ketchikan Youth Initiatives after school paddling program. And got a great workout each week with Mrs. Gillette and her Revilla School paddlers. Even the Misty Fjords were sunny in 2013!